* Every Tuesday morning, 9:00 AM - different venues around Melbourne - FREE - contact us to get the location notifications! 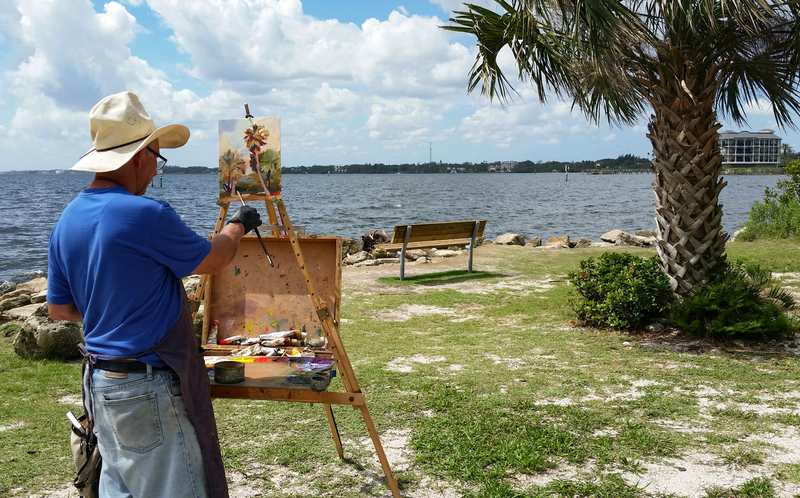 Here, Alex paints at Kiwanis Park at Geiger Point. Join us in historic downtown Melbourne, FL for our open studio live model sessions in a unique artist loft environment. The Guild appreciates all of its members and their continued support! A hearty welcome to our newest members - we look forward to getting to know you and your art. Join us in historic downtown Melbourne, Florida for open studio sessions in a unique artist loft environment. We offer weekly non-instructive live model sessions (see Events/Open Studio), and occasional instructor-led workshops (but no regular classes). For the latest news, visit our Facebook page! ©2018 The Art Students' Guild of Brevard, All Rights Reserved. Powered by Blogger.